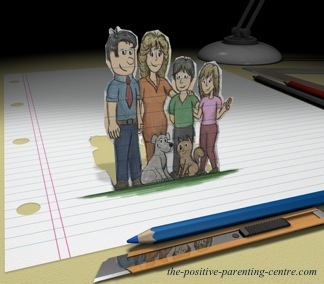 What exactly is Positive Parenting? Positive Parenting is not rocket science… it's common sense parenting built on strong family values. Quite simply, it's about raising your children in a warm, loving, caring, supportive, positive environment built on the foundation of trust and respect. It's about vision and planning ahead in providing your children with tools to build self confidence to handle the inevitable curve balls life will throw their way. It's taking a Responsible Parental Leadership Role in guiding and inspiring your children to control their own destiny, believe in themselves and learn to dance to their own song. "Love Life... and... Live it With Passion"
"Is Your Family Worth The Effort?…... Of Course It Is"
A major element of this parenting approach is establishing your own core values and principles to build the framework that will guide all your parenting decisions. Modeling a genuine positive attitude and demonstration of good character traits are fundamental principles. It cannot be stressed enough how your children watch every move you make, hear every word you speak, from the time of opening their eyes as a baby, through their teens. Most of your child's personal development, character and personality are derived directly from what they "See & Hear" from you. "Good, honest, hard-headed character is a function of the home. If the proper seed is sown there and properly nourished for a few years, it will not be easy for the plant to be uprooted"
The second element in these positive parenting techniques is exercising positive discipline concepts with an interactive approach that promotes learning through understanding and communication, rather than correction or coercion. Building a cohesive family atmosphere committed to finding positive solutions as opposed to facing consequences. 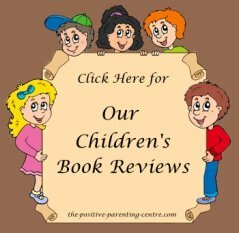 Focusing attention on your child's positive behaviour rather than negative. Developing confidence in your child, by celebrating successes as well as all their earnest efforts of accomplishments. Practicing positive communication with empathy in listening skills to truly understand your child's needs and emotional feelings. 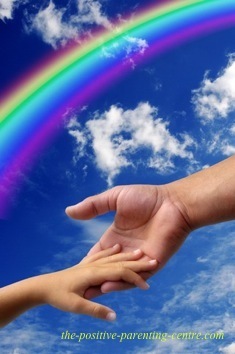 Developing a warm and positive environment built on unconditional love and acceptance. Building trust, support, dignity and fostering mutual respect and cooperation for all members of the family. Coaching and mentoring your child in making sound, positive and responsible decisions in life. Striking a balance between parental and child control by involving your child in decision making, creating personal power and autonomy in your child. Why Use This Style of Parenting? It's quite obvious this parenting strategy is a warm, genuine and respectful approach to rearing your children. Your children will have the best opportunity to develop good character traits, positive self esteem, positive mental attitude and develop productive life skills to lead them to a happy and fulfilling life. Of course not…! Nothing about raising children comes easy. It takes time, commitment, responsibility, and… I must say... a lot of patience. However… A wonderful advantage is by being conscious of your plan, you yourself become a much better person in the process. While implementing your own personal style you will continually create ways of improving your own personal life; sound principles, core values, attitude, health and continually strive to develop positive character traits you wish to model for your children. Defining your own "Personal Parenting Strategy"
The implementation of a well defined plan at an early stage is the key ingredient for improving your chances of raising wonderful children and creating a positive, loving and harmonious family relationship. 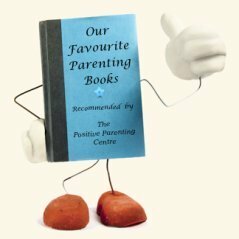 Continue reading about... "A Positive Parenting Style"
Return To: "Types Of Parenting Styles"..From: "Positive Parenting"